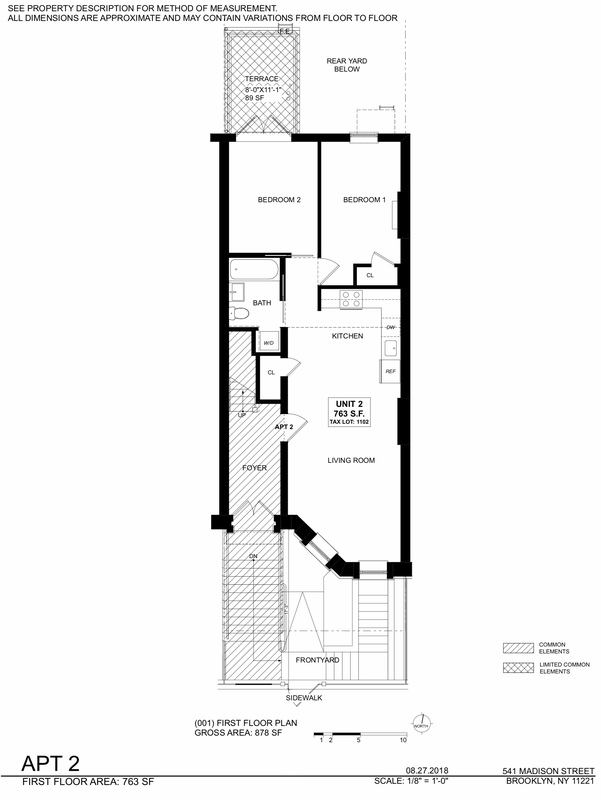 541 Madison Street, #2, Brooklyn, NY, New York 11221. 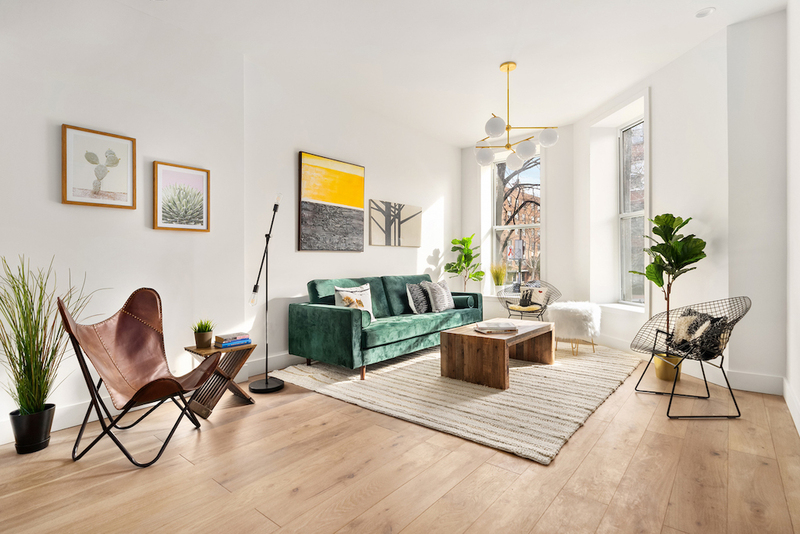 The Adler at 541 Madison Street, is an intimate four-unit condominium conversion of a turn-of-the century brownstone on a charming, tree lined street in Bed-Stuy. Redesigned by Eckstrom NYC with practical sensibilities and a Scandinavian aesthetic, elegance and functionality are the base in these four bespoke homes. 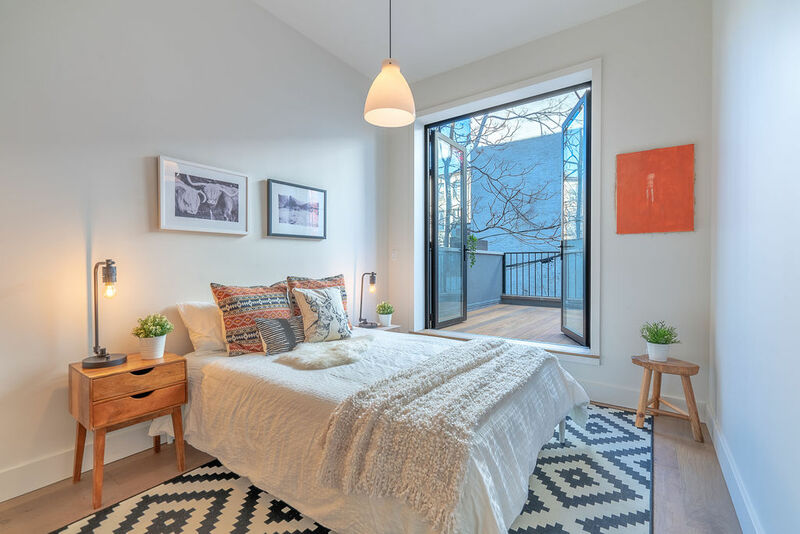 Each unit offers a light-filled living areas, a private outdoor space, stunning 7.5 inch wide, white oak floors, oversized Pella and Crystal windows and stylish West Elm light fixtures. 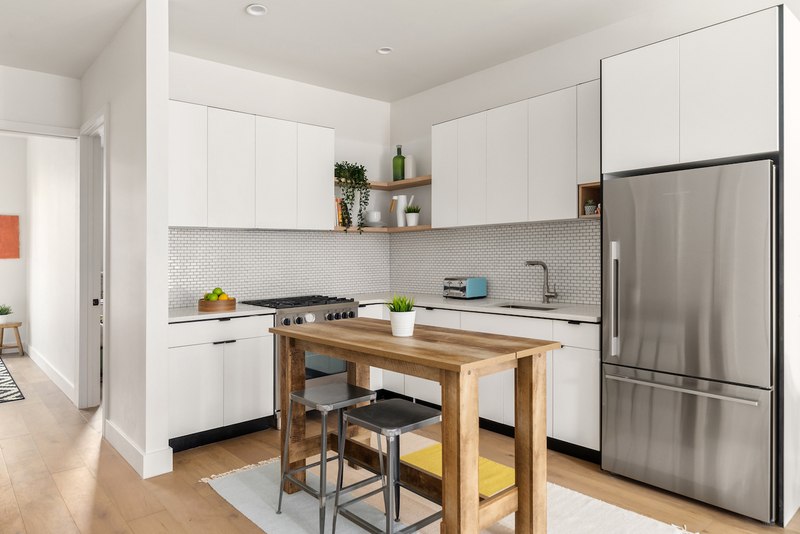 The ergonomically designed kitchens, custom crafted by local cabinet maker are mid-century modern inspired and equipped with Bertazzoni, Fisher & Paykel and Bosch appliances, concealed range hoods and quartz countertops. 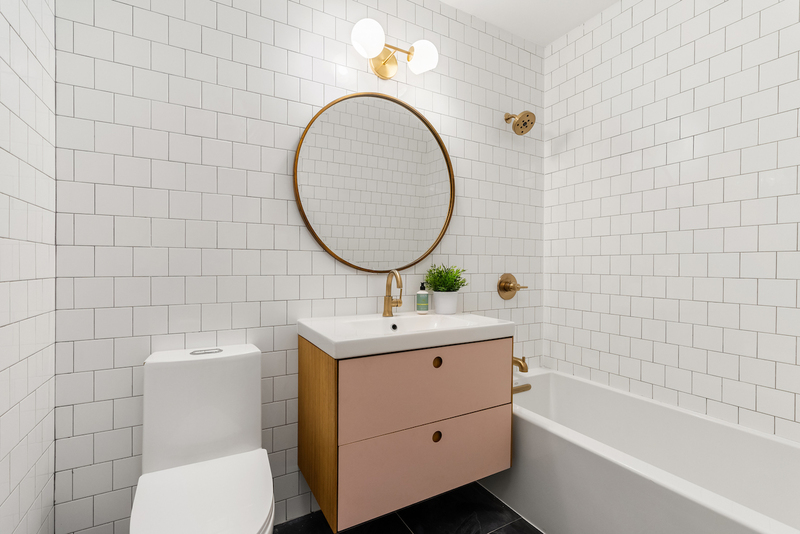 Bathrooms feature vanities designed and hand crafted in Denmark by Reform, Kohler soaking bathtubs, Delta brass fixtures, ceramic wall tiles and natural stone slate floors. A Bosch washer and dryer is included in each unit. 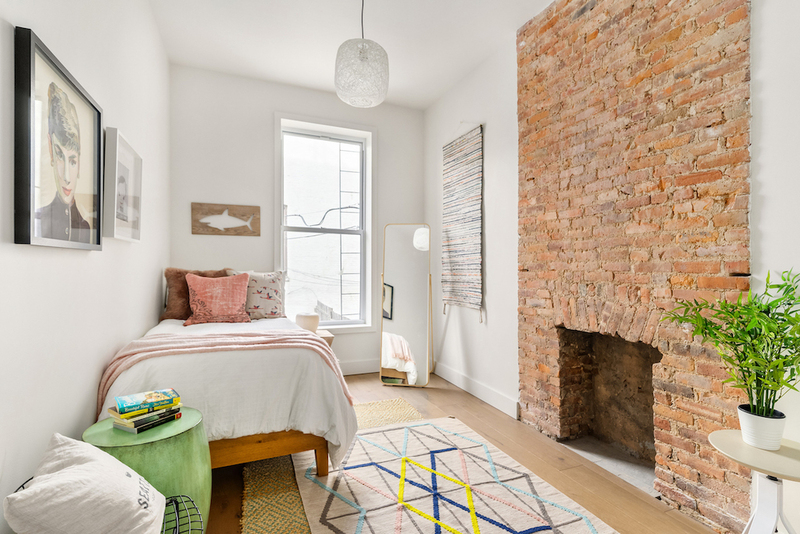 Located on a quintessential brownstone block in the heart of Bed-Stuy, The Adler is steps away from neighborhood favorites like Saraghina, Bar Luntico, Bed Vyne Brew, L'Antagoniste, Chez skar, Eugene and Co, artisanal coffee shops and lush green parks. Walking distance to the A and C subway stop. A convenient Citibike station is located right in front of the house. Unit #2 is a two bedroom, 1 bathroom apartment that occupies the entire parlor floor, with 10.5 ft high ceilings and a substantial, airy and open living/dining area with oversized windows, facing tree lined Madison Street. Enter your private terrace finished with a Brazilian walnut deck opening through the floor to ceiling doors off the master bedroom, overlooking the quiet rear side of the building. Deeded storage room located in the cellar. All prices and CC's are estimated.